Builders have come to depend on Douglas Fir’s remarkable mix of attractiveness and toughness for both interior and exterior applications. Its stability and durability handle the harshest environments, while its attractive surface takes and retains paint and stains exceptionally well. 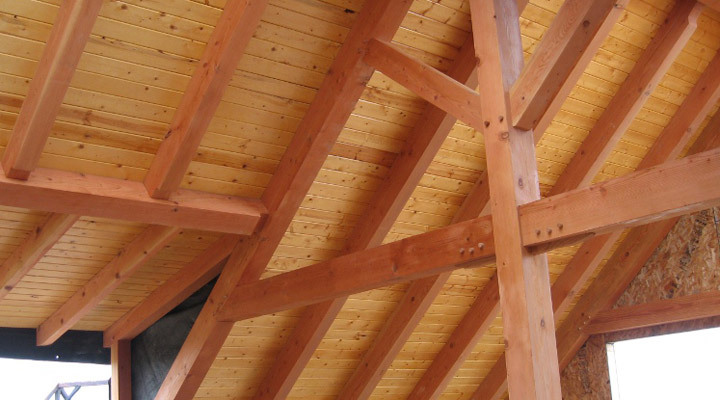 Douglas Fir is a great choice for many wood applications and has become the industry standard for Timber Framing. 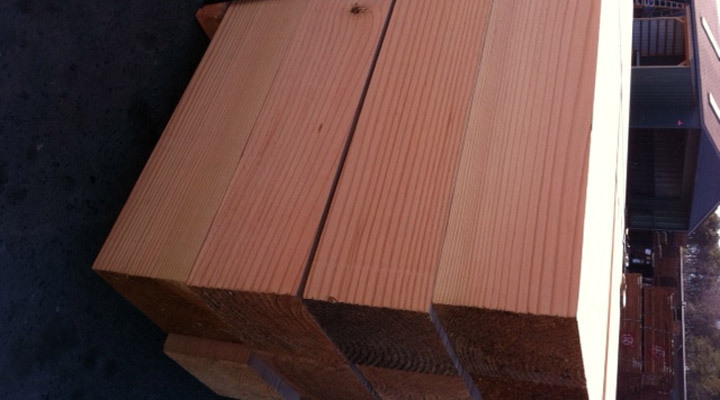 The J. Gibson McIlvain Company maintains an expansive inventory of Douglas Fir timbers. Douglas Fir timbers have long been sought after for their excellent strength to weight ratio as well as fine appearance. 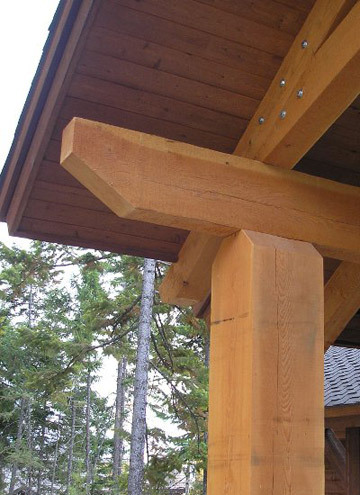 Douglas Fir timbers are a favorite among luxury timber frame homes and commercial spaces like churches and conference centers; Douglas Fir timbers are also a great choice for custom pergolas, trellis work or any exterior structure. In addition to timbers, J. Gibson McIlvain Company now stocks a full line of Douglas Fir products. These products include rough lumber, S4S, and patterns. With lengths available up to 40 feet long and dimensions available up to 36×36, the sky is the limit for Douglas Fir timbers. We carry S4S and Bandsawn in both #1 Appearance Grade and Select Structural grades. Our timbers are kiln dried to 9-10% to 2 inches deep with 12-13% moisture below 2 inches. Additionally, we offer radio frequency dried timbers at a consistent 10% moisture throughout. These products are a great option for exterior siding, flooring, and panelling in more rustic buildings. J. Gibson McIlvain maintains close relationships with its mills in British Columbia, Canada and the western United States to ensure quality and supply by visiting these facilities throughout the year. The majority of our mills are certified by SFI, PEFC, or FSC to ensure our products are harvested in a sustainable manner. • Many other patterns available upon request. For more information on the endless possibilities of Douglas Fir lumber, please call us at 1-800-638-9100 to speak to a J. Gibson McIlvain representative. You can also submit our online contact form. Since Hugh McIlvain established a lumber yard near Philadelphia in 1798, the McIlvain family has been engaged in the premium import & domestic lumber industry. 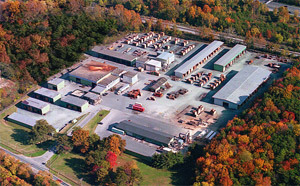 The J. Gibson McIlvain Company is one of the largest importers of exotic woods in the U.S., and its headquarters is located in the Baltimore, Maryland region. As a supporter of sustainable lumber practices, the J. Gibson McIlvain Company has provided quality lumber for noteworthy projects around the world, including the Capital building, the Supreme Court, Smithsonian museums, and the White House. Contact a J. Gibson McIlvain rep by calling (800) 638-9100. Would you like to speak with a live sales rep? Call 800-638-9100. Or email us and your inquiry will be sent to one of our in-house sales reps.
J Gibson McIlvain is actively involved in forest management & holds membership in the IWPA, an organization devoted to the promotion of legal, ethical, & sustainable forestry practices. The McIlvain family has been engaged in the quality import & domestic lumber industry since Hugh McIlvain began a lumber business near Philadelphia in 1798. 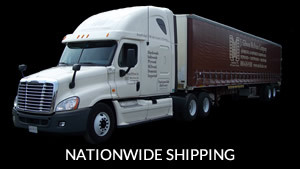 To see more of our offerings visit www.mcilvain.com · Our fleet of lumber trucks delivers nationwide.